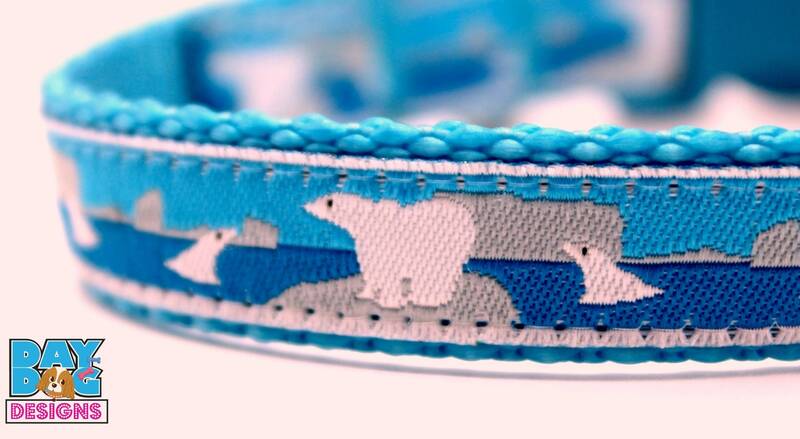 This ribbon is only 1/2 wide so can only be placed on 5/8 inch webbing for little doggies! 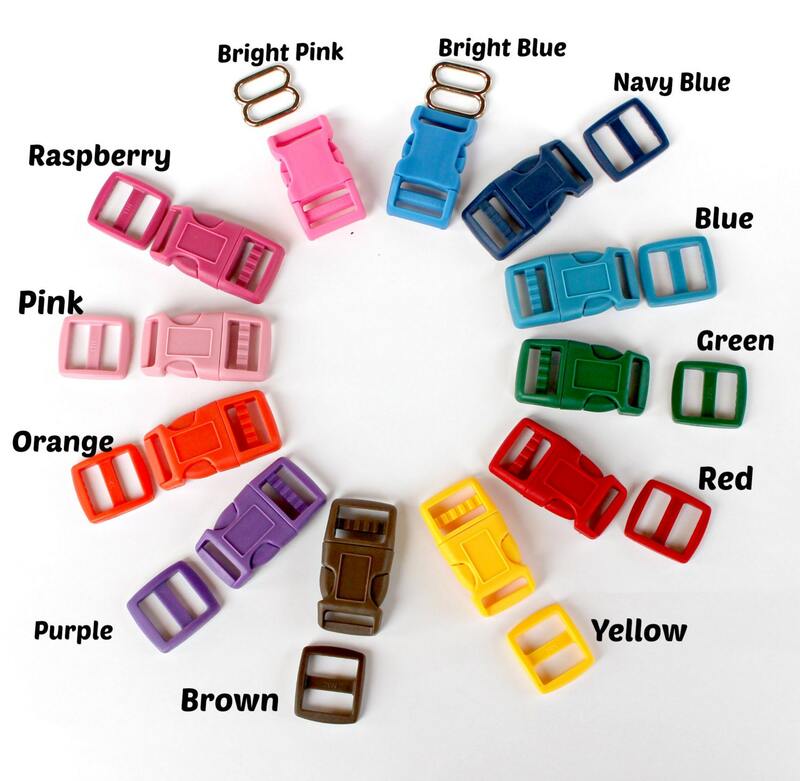 Extra Small = 8 to 11 inches - 5/8"
Small = 11 to 14 inches - 5/8"
Medium = 13 to 18 inches - 5/8"
This collar features a Quick Release High Quality Buckle on Heavy Weight Webbing and a Welded D Ring. I use Bar Tack Stitching for extra strength and reinforcement on your collar. *Although I use the highest quality supplies to make your collar please determine the suitability of these collars for your pup and his individual situation. If you have any questions about size or would like a custom size. Please convo me.